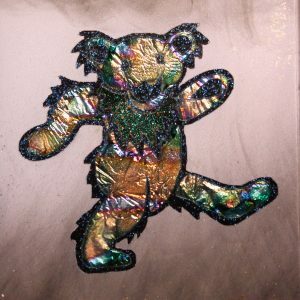 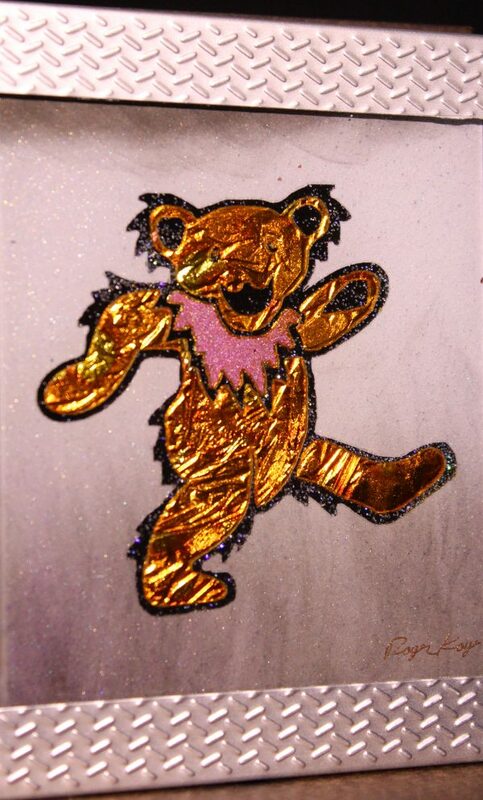 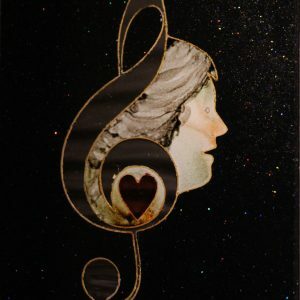 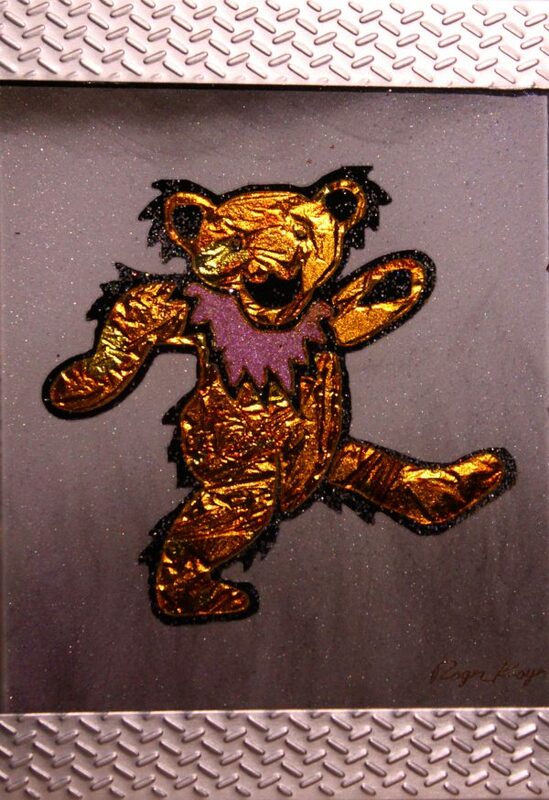 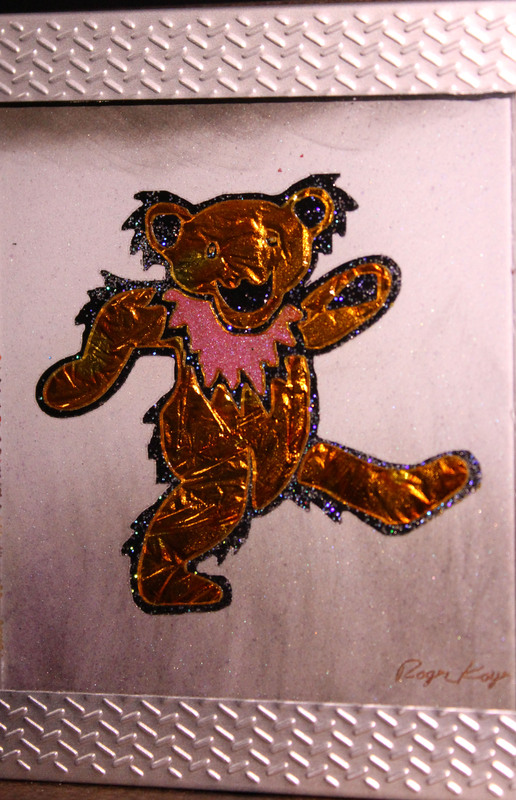 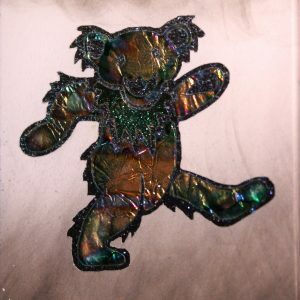 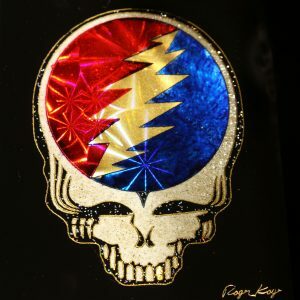 Beautiful hand painted Grateful Dead Bear, made with the process of reverse painting on glass. 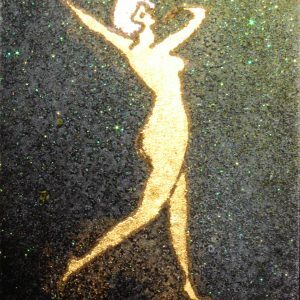 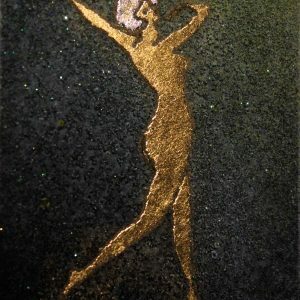 “2.5 x 3.5” in size. 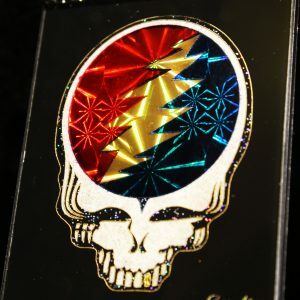 Colors pop in bright and vibrant lighting.